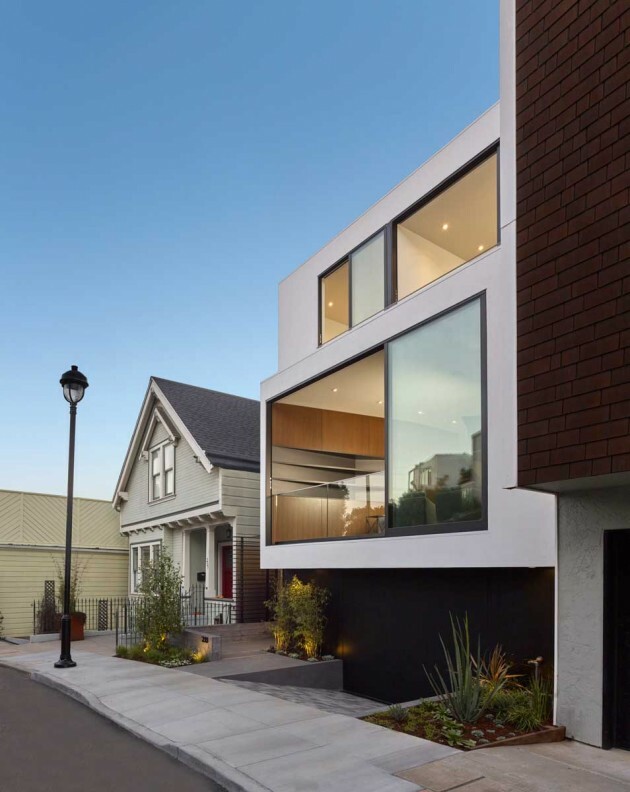 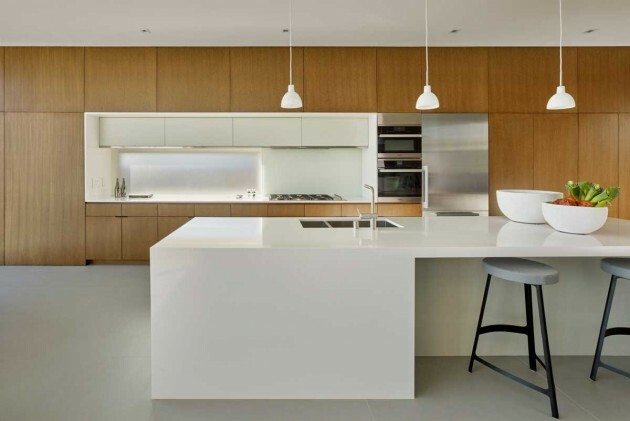 Michael Hennessey Architecture have designed a contemporary home in San Francisco, California. 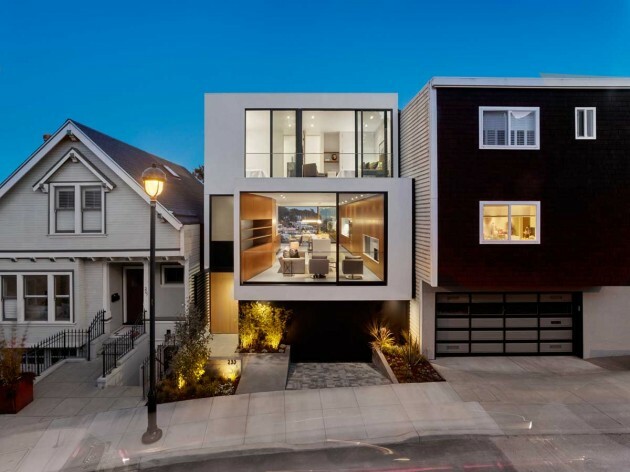 Located in the Glen Park neighborhood of San Francisco, this ground-up residence harnesses natural light throughout the day, captures views of a wind-swept park, and a makes a strong visual connection to the split-level road at the front of the property. 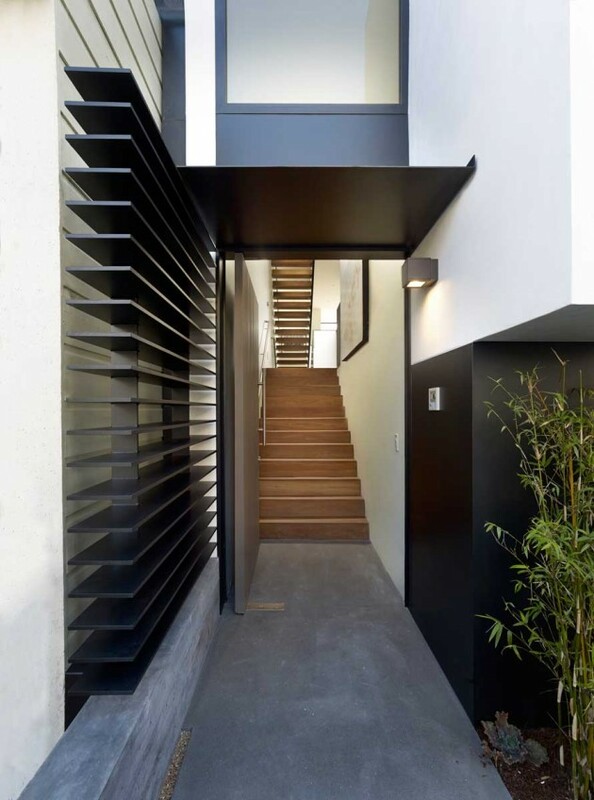 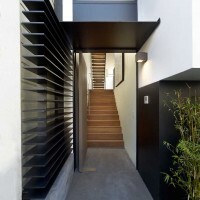 One enters the home through a large pivot door on the garage level, up a flight of walnut stairs to the main living level. 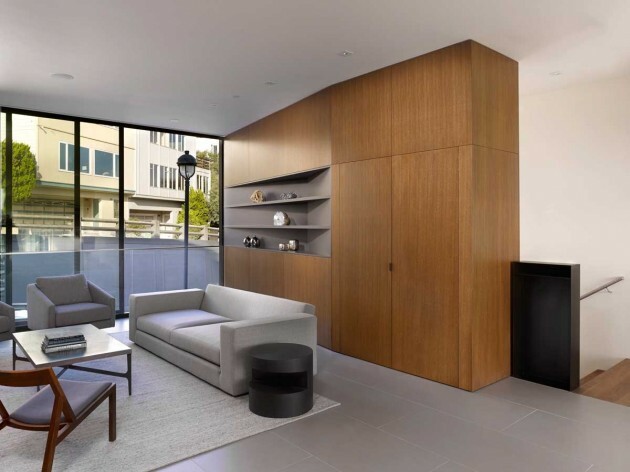 A continuous wall of rift-sawn oak veneer cabinetry runs the full length of the building tying the living area, kitchen, and dining area into one cohesive space. 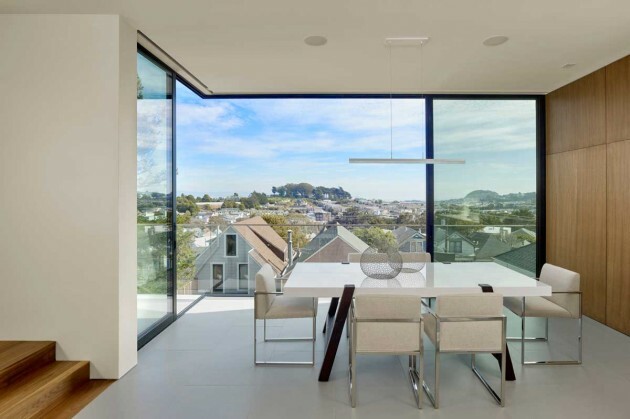 Floor-to-ceiling glass at either end of the main living level brings natural light deep into the space and provides dramatic views of downtown San Francisco and Bernal Heights. 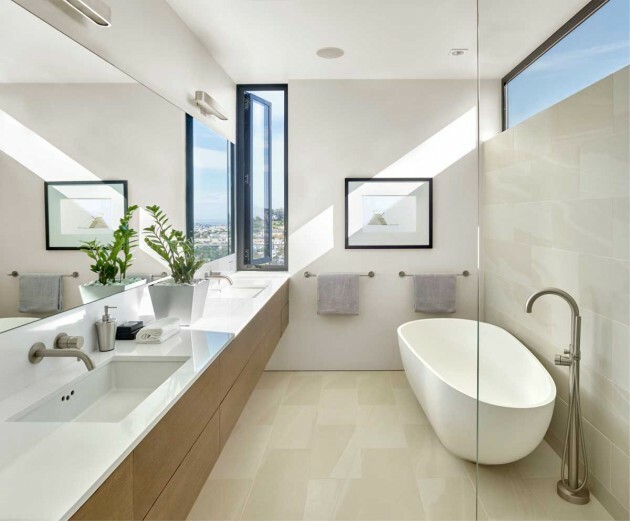 Bedrooms and bathrooms are located on the upper level, while a guest suite is located adjacent to the lower garden.